Twisted Circus Online Pokies will be sure to thrill you, chill you, and give you a casino experience will remember. 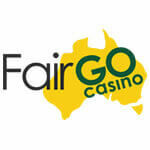 This amazing game is one of the most exciting Aussie online pokies around. Circuses have been entertaining audiences for years. While many of us are familiar with funny, kid-friendly circuses, there is also a darker side to the circus world. If you think about it, there are definitely some creepier aspects of some circus shows and performers. In Twisted Circus, the freaks are now in the spotlight! You will love getting to know all of the weird and wild characters as you play. Created by the brilliantly twisted minds at Microgaming, it is a five-reel pokies with a massive 243 paylines available. With awesome bonuses, crisp graphics, and an enticingly spooky theme, you will love getting in touch with your inner freak when you play Twisted Circus Pokies. 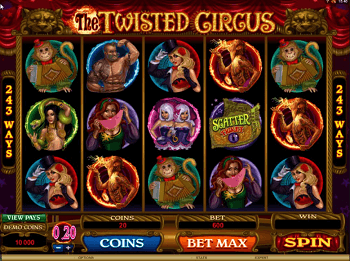 You will be enchanted by the cast of characters that act as the symbols on the reels of Twisted Circus Online Pokies. The seductive snake charmer smiles as she introduces you to her pet. The clown-faced contortionist relaxes… with her feet next to her ears! The fire breather puts on a hot performance. The strong man flexes as the bearded lady coyly hides behind a handkerchief. The Siamese twins are ready to perform. A cheeky monkey grins with an accordion – it is easy to imagine that he is playing the haunting music that accompanies the game. The characters come to life when you hit a payline, and the animations will make you feel like you are in the middle of a circus show! There are a few more symbols to introduce, and these will get you especially excited. No circus can be complete without a ringmaster. 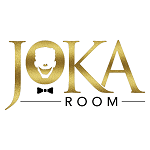 You will be thrilled when he shows up on your reels, because the ringmaster triggers a special Circus Match Bonus Game (we will explain more on this later). The Twisted Circus logo acts as the wild symbol, which means that it substitutes for any other symbol (with the exceptions of the ringmaster and the scatter ticket). A fiery “WILD” sign will explode from the reels when it creates a winning combination with other symbols. 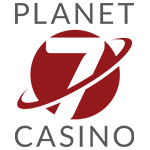 All of your wins will be multiplied by three when the payline includes the logo. Finally, the last special symbol, which you will be quite happy to see, is the scatter ticket symbol. This is your ticket to huge winnings! When you see three, four, or five of the tickets on the screen, then the show truly begins. 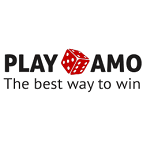 With that combination, you will automatically get 13 free spins. Now, some people believe that 13 is an unlucky number. However, when you are playing Twisted Circus Aussie online pokies, that spooky number seems like a pretty lucky one! During those thirteen free spins, all prize payouts will be tripled. That means that if the wild symbol shows up, you can enjoy a 6x payout. If the stakes are in your favor, you could win up to 555,000 coins during the spins! More free spins can be retriggered during the first free spins, so you can really get much more than 13 of them. In addition, the bonus game can be activated during your free spins for even more freaky fun. So what is the Circus Match Bonus game? 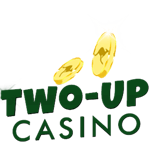 It is a special feature that is truly unique to Twisted Circus Online Pokies. Some online pokies games have gamble features that you can activate when you win. However, in those games, there are two options – gamble your money and increase it, or lose all the winnings from that spin. When three or more of the ringmaster symbols appear on the screen, he will beckon you to come into the secret rooms of the circus tent for a special game. There, he will open a luxurious curtain and reveal sixteen star-shaped targets. The targets can be flipped to reveal one of four characters (the strong man, snake charmer, fire breather, or Siamese twins) or the wild symbol. You need to match three of the characters to win. You can keep choosing targets until you get a match, so there is no way to lose! You can even win multiple bonuses if you use the wild symbol to make more than one match. For example, if you find two of the twins and two of the strong man, the wild symbol will complete both sets for an increased payout. After you win, you will be treated to a special indulgence: an extended animation of whichever character you matched. See the fire breather blast a stream of fire into the air, or watch the twins perform a ballet dance unlike any you have ever seen before. Whatever you see, you are sure to be entertained. Now that you know all about the deliciously dark characters and incredible bonus features, you probably cannot wait to start playing this great online pokies game. 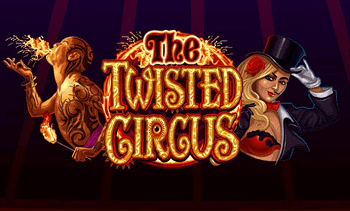 Choose an online casino, let the ringmaster guide you inside the big top, and enjoy the wild entertainment that awaits you at the Twisted Circus Online Pokies!